Animals play a special role in many lives, which is why they deserve a place in scrapbook albums. Whether you're preserving memories of a favorite pet or documenting a family zoo vacation, there are many ways to create animal themed scrapbook pages. For many, pet dogs and cats are just like members of the family. Make a "Paws for Consideration" or "Paw Prints on My Heart" pet layout featuring cute paw print paper like the digital paper pack in the Laureling Studios Etsy shop, or paw print stickers like the ones from Jolee's Boutique. If your pet is cooperative enough, you could also try making your own paw print embellishment by stamping his or her paw into a nontoxic ink pad. Just remember to clean the ink off your pet's paws as soon as you are done! If you're scrapbooking the loss of a pet, the page title "If You Love Something, Set It Free" is particularly appropriate. The butterfly memory stickers from Reminisce would be a suitable embellishment for this type of page. Poems for a Grieving Pet Owner has several comforting poems that you might wish to incorporate into your journaling. Whether you live on a farm year round or recently visited one for a school field trip, a farm scrapbook theme offers plenty of options. 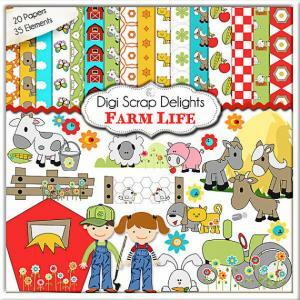 Scrapbookingdom on Etsy has a lovely farm themed digital scrapbooking kit that includes 21 papers and 116 graphic embellishments for your "Farm Livin' Is the Life for Me" scrapbook page. If you're a traditional paper scrapbooker, you can get a similar look for your "A Day on the Farm" scrapbook page with the Farm Life Collection glittered paper pad from Best Creation Inc. If your family had "A Roarin' Good Time" watching the lions at the circus, document these special memories on a digital page decorated with the Everyday Circus Elements from Fancy Pants Designs. 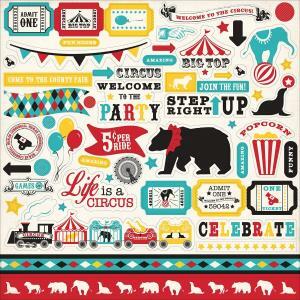 If you're a traditional scrapbooker, Scrapbook.com has a great selection of circus-theme kits, papers, stickers and more. Amazon.com also offers a fun circus sticker set from Echo Park which will certainly inspire a few page design ideas. There are even title stickers which say "Life Is a Circus" and "Step Right Up." "An Elephant Never Forgets" how much fun he had at the circus, so capture memories of your child's first encounter with the circus elephants using the dimensional elephant stickers from Jolee's Boutique or fold your own origami elephant to use as a unique page accent. The zoo provides a wonderful place for scrapbookers to practice their photography skills. 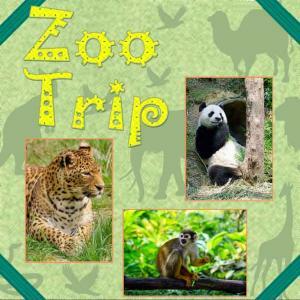 Download free printable zoo layout templates and quickly create pages showcasing your favorite zoo photos. If you'd prefer to make your "Walk on the Wild Side" page from scratch, this A Day at the Zoo free font is an excellent choice for your page title, and you can accent your page with zoo prints from the animal print scrapbook paper pack available on the Oriental Trading website. One unique way to take the animal theme to the next level is to make a page comparing friends and family members to various animals. For example, many moms often compare their curious toddlers to little monkeys who climb all over everything in search of adventure! 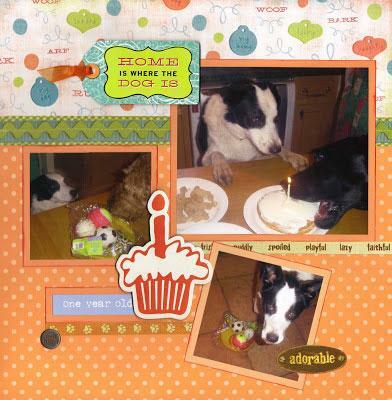 Make a "This Place is a Zoo," "Animal House," or "Our Little Monkey" scrapbook page showcasing photos of your little animals in their natural habitat. 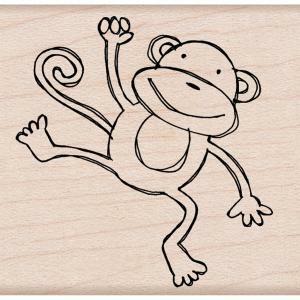 Accent with small 3D stickers like the boy and girl monkey stickers from Jolee's Boutique or a monkey rubber stamp like the one from Hero Arts. You could also document memories of a happy couple with "A Pair of Love Birds" scrapbook layout. Ginger World's love bird clip art graphics would be perfect for accenting this type of scrapbook page or you could use the large bird punch from EK Success. When looking for supplies for your animal themed scrapbook layouts, remember to choose items that are acid free and designed to be safe for use next to your photos. Using items that are not intended for scrapbooking can cause damage to your special memories over time, but paying attention to archival safety will ensure that you can enjoy your animal themed layouts for many years to come.